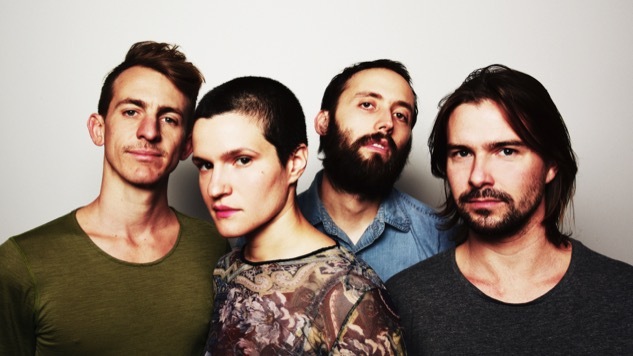 Big Thief made a Masterpiece last year, and they’re coming back for more in 2017. Directed by Vanessa Haddad and lensed by Adam Gundersheimer, the “Mythological Beauty” video features a cameo appearance from Lenker’s mother, who appeared prominently on the Masterpiece cover. “There is a child inside you who’s trying to raise a child in me,” Lenker sings over a gorgeous coil of chiming guitars. The clip evokes a far gentler The Revenant, as Lenker ushers a sickly man (played by singer and guitarist Buck Meek) through the wilderness. Watch the “Mythological Beauty” video below, plus Paste Cloud footage from Big Thief’s 2016 Daytrotter Session beneath that, and still further down, find Capacity’s tracklist and album art, along with Big Thief’s newly expanded tour slate. You can preorder their new album here, and read Paste’s Best of What’s Next write-up on the band here.